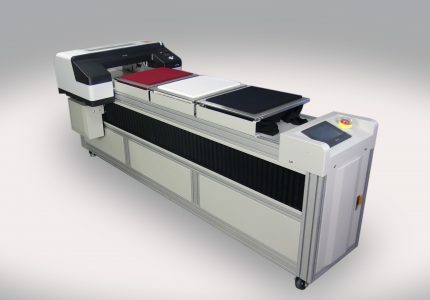 Direct to Garment Printer, T3W is with 3 printing platens for industrial digital garment printing. White and CMYK printed at one pass and higher efficiency of dark garment printing. 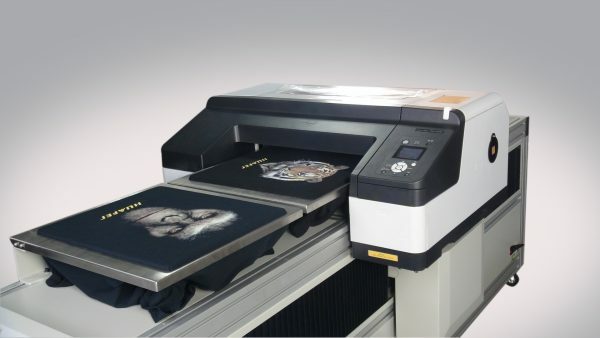 This DTG printer is mainly chosen by Screen Printing factory, Branded Clothing Company, Designer, Fashion Company etc. Features1)Garment & Cutting Pieces & Grand Cutting Pieces, wider application. 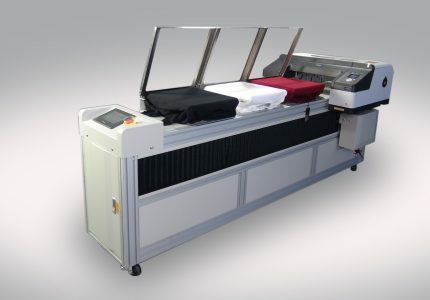 2) Advanced Circulatory system of White Ink, easier maintenance and less waste. 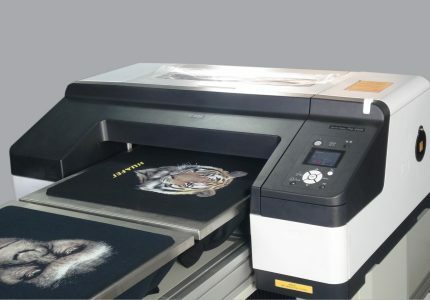 3) 3 printing stations design, higher efficiency. 5) Quality silent ball screw, Y transmission shaft is more durable and stable. 6) Servo system & fuzzy electric control make repeat printing more accurate. 7) Laser sensor design protect printhead safer. Ink: Dupont textile pigment ink.